Leveraging 105 years of cinematic heritage for a contemporary audience. As one of the world’s oldest and most well-known movie studios, Paramount has a legacy of cinematic excellence that spans more than a century. Its parent company, Viacom – which also owns iconic brands such as MTV, VH1 and Comedy Central – recognized a gap in their portfolio for premium scripted television to compete with the likes of HBO and Showtime. 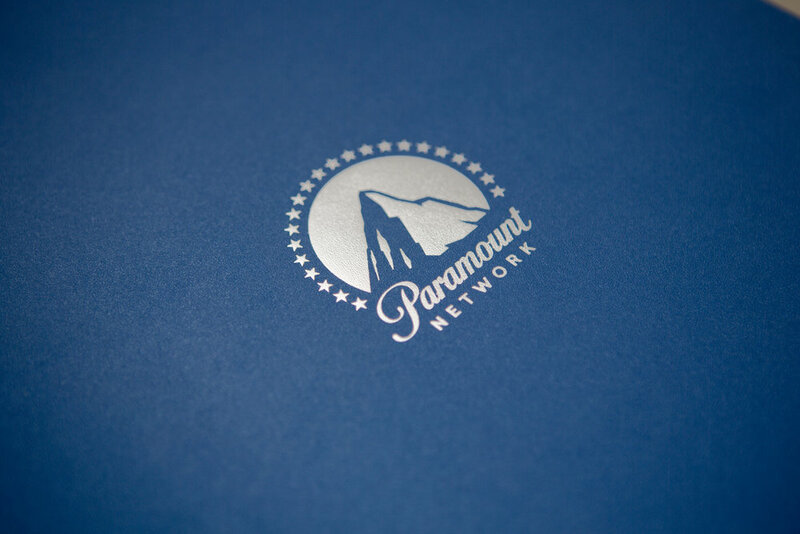 To fill this gap they launched a brand new network into the market, leveraging the Paramount name with a lineup of original scripted television series and some familiar classics from the now retired Spike Network. 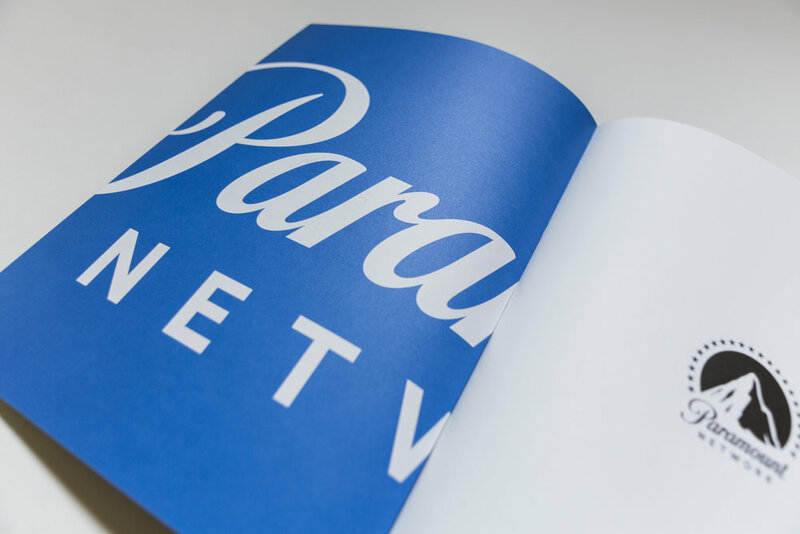 Inspired by Paramount Studio’s rich cinematic heritage and A-list roster of talent, Paramount Network aims to provide a modern television audience with premium cinematic storytelling without the premium subscription of its competitors. Our brief was to leverage 105 years of cinematic heritage with a contemporary brand identity suitable for this digital savvy audience. 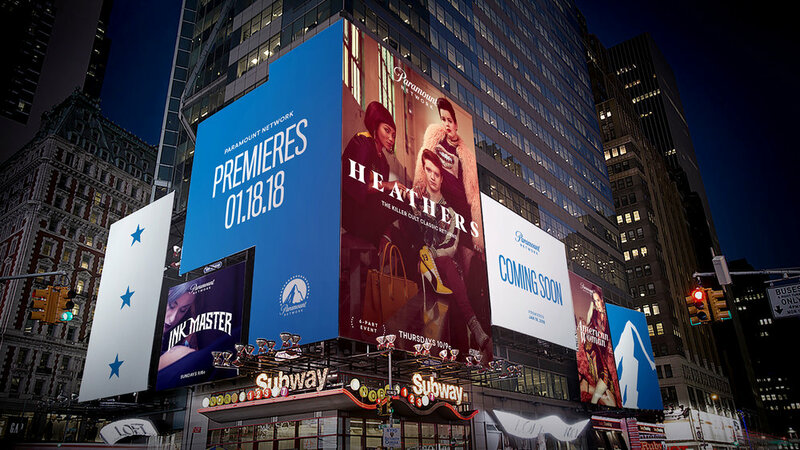 Our solution: Take the classic icons that Paramount is famous for and represent them in a way that’s familiar yet fresh, with a nod to its cinematic past – bringing the movie going experience from the big screen to every screen. As a nod to Paramount’s rich cinematic heritage, we built a typographic language referencing movie posters, trailers, reel changes and movie credits. 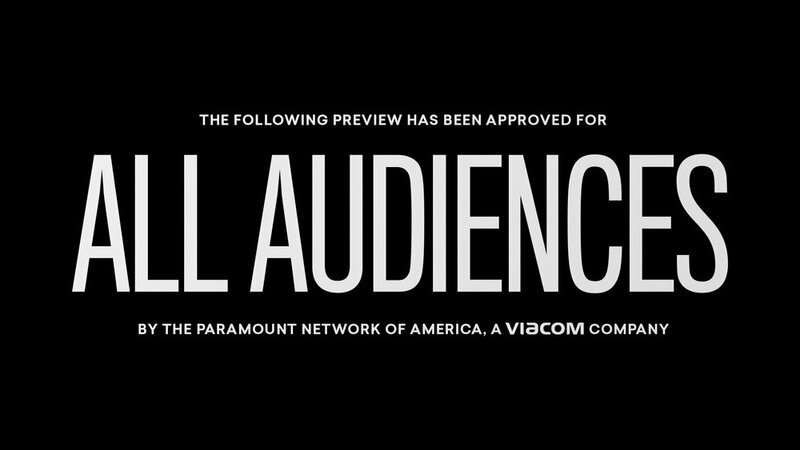 The intention was to make the experience feel like going to the movies – fast cuts, blips and bold type contribute to a cinematic experience on every screen. And since the term "movie stars" was born out of Paramount, we celebrate Paramount’s roster of A-list talent both in front of and behind the camera, drawing back to the brand’s Hollywood roots. We redrew the logo for maximum readability on screens big and small. Bridging the gap from the old to the new, finding a balance between the graphic mark and photographic film opener. The brand plays out across a variety of media including on-air, digital, print and outdoor advertising. In addition to the on-air package we developed a system for outdoor advertising, which allows for each show to express its own personality through bespoke art direction with a consistent, yet flexible layout system that pays attribution back to the network. The on-air package includes a wide range of tools to give promo producers the flexibility to paint different cinematic tones for a wide variety of shows the network will carry, yet all feel distinctly Paramount.